Donna Adele Chessman Hayes passed gently into the loving arms of her heavenly father on Wednesday, December 5, 2018 in Lethbridge, Alberta. Donna was predeceased by her husband John Leonard Hayes and her children Tracy Michelle & John Lorne. Mom is survived by her loving children; Dawn (Ian) McClurg, Laurel (Joe) Zwaagstra, Tanya Hayes, Jimmi (Dan) Foley, Danny (Jenny) Hayes, James (Kim) Peterson, Kathy (Darcy) Rice, Kim (Steve) Larochelle, Joely (Joe) Augustino, David (Damara) Hayes, numerous Grandchildren, Great Grandchildren along with her devoted dog, Tasha. Donna was born in Broadview, Saskatchewan on August 13, 1937 to Joseph & Mary Chessman with her Brother Walter. 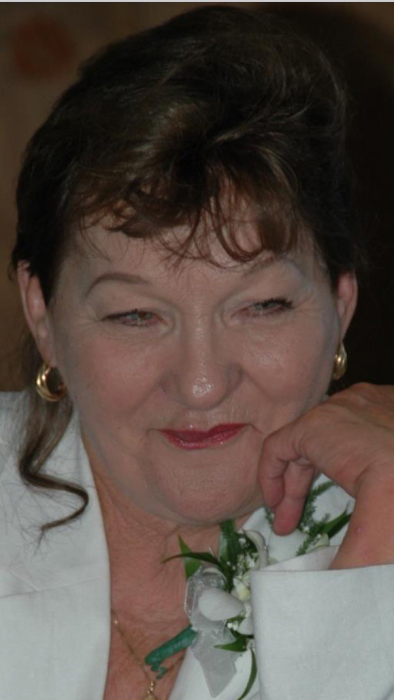 Donna had many interests ranging from gardening, reading, politics and a keen interest in the daily weather. Donna treasured time with her children sitting at her table enjoying a coffee, favorite snacks and rich conversation. Mom was an avid gardener with an incredible green thumb. In the summer we would often find her watering her garden and enjoying the sun. Mom valued education and a strong work ethic. Donna enjoyed years at the University of Lethbridge in the Bachelor of Social Work Program. She dedicated her time as a health care professional serving the elderly well into her 70’s. Tradition was very important to Mom. This included Christmas, Lent and the weekly Sunday dinners shared with her children. Mom will be dearly missed by her children, grandchildren and all who knew her. In honour of Donna a Celebration of Life will be held at 2:30 pm on Monday, December 10, 2018 at CHRISTENSEN SALMON GENERATIONS FUNERAL HOME- 703-13 Street North Lethbridge, AB.